Gauri Shinde's first film was an unique bollywood film, it was a women-centred film which is rearly seen in bollywood. It was announced that she was doing a film with SHAH RUKH KHAN & ALIA BHATT. I was looking forward to see this just because of the director's first film was good, it is having talented actor's. And the trailer/takes and all the clips, I saw of the film, I tought this to be another unique bollywood flick. And it really is a extra-ordinary bollywood film, but just being that dosen't make the film great, does it? The story of the film is of a girl (Alia Bhatt) who is a cinematographer, and she is rude, arrogant at times. 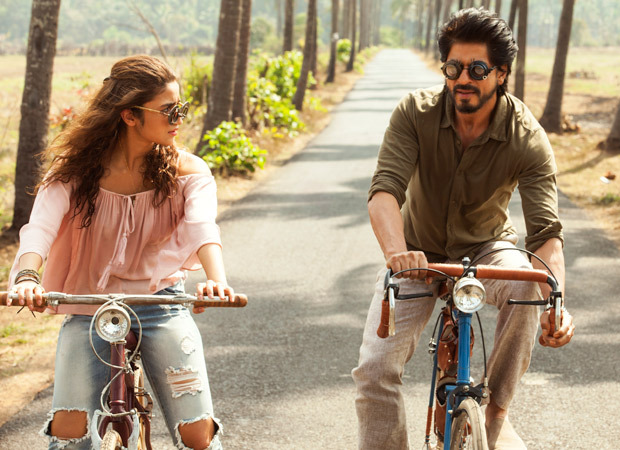 Her character isn't likeable at moments, then comes Shah Rukh Khan (an unconvential thinker), she finds him in GOA, and gains a new perspective on life. That is a pretty interesting plot. Performances: Alia Bhatt, she has been doing some great films, she has given her best in UDTA PUNJAB/HIGHWAY. In this film, it is all about her, she is my personal favourite actress working today in bollywood as far as commercial cinema is concerned. But here come's a performance, with fan like thing, I mean as she is in with SRK in the film, so there is a little overacting at bit's. But overall, it is far from his best performance, it is just an average performance. 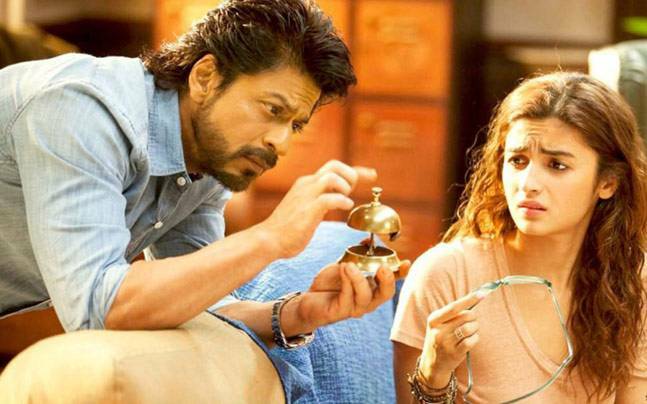 Shah Rukh Khan, he is brilliant in the film. Every scene he is in, he steals the show. One thing he has made clear, weather the movie is good or bad, his performance would be superb in it, no matter what. Other actor's don't have a significant role, in the film, but all were decent. This movie has flaws, ofcourse no film is perfect in all ways ;). What my problem with the movie is, it has a lot of talking, alot mean really A LOT! And sometime's it really get's boring, they should have gone with some other method for the talks, like a narration with a montage or something. With that comes, my next point, it's pacing, it is 150 minute long film, did it need to be that long? Nope! It deliver's the message of the film very well, but could have been cut down to length about 30 minutes. Acting I already, I have mentioned Alia Bhatt, could have left the fan-like thing behind, and focused more on her role. This seemed like a money-making movie to me, as Shinde's first film was more about the film then money, but here having two big actor's, well most of the bollywood films are made for money, don't they? Now, I gotta give credits to some of gorgeous shot in the film, especially the scene's in GOA are shot beautifully. also some of moment's very deepfull and meaningfull. Overall, it is a film that you should watch, it's not an awfully bad film, nor it is a great film. It's just a average/decent flick, but with extra-ordinary storyline. There are some lesson's that the film gives, and it is showcased brilliantly. So, it's far from being what I expected from it, but still somewhere in the middle. BE SURE TO GIVE A FEEDBACK!